पेनलाइट एप्पल के टैबलेट कंप्यूटर का पहला प्रोटोटाइप है। 1992 में शुरू हुई, इस परियोजना को मैक ओएस को एक टैबलेट में लाने के लिए डिज़ाइन किया गया था - लेकिन न्यूटन के पक्ष में रद्द कर दिया गया । न्यूटन. million, with media reports noting that the purchase looked like a move by Apple to get data and tools to bolster its Apple Music streaming service. The purchase was approved by EU later in September 2018. ↑ अ आ इ ई उ "Consolidated Statements for Q4 FY18" (PDF). Apple. November 1, 2018. अभिगमन तिथि November 1, 2018. ↑ "Apple 10-K Report FY2018" (PDF). September 29, 2018. अभिगमन तिथि November 5, 2018. ↑ Taylor, Harriet (August 30, 2016). "How Apple managed to pay such a low tax rate in Ireland". CNBC. अभिगमन तिथि January 9, 2017. ↑ "Apple Looks to Services to Move Beyond iPhone Price Ceiling". Bloomberg L.P.
↑ "Apple Goes to Hollywood. Will Its Story Have a Happy Ending?". The New York Times. ↑ Rivas, Teresa. "Ranking The Big Four Tech Stocks: Google Is No. 1, Apple Comes In Last" (अंग्रेज़ी में). Barrons. अभिगमन तिथि December 27, 2018. ↑ Ritholtz, Barry (October 31, 2017). "The Big Four of Technology". Bloomberg L.P. अभिगमन तिथि December 27, 2018. ↑ अ आ "I Never Left Apple". Officially Woz (अंग्रेज़ी में). January 3, 2018. अभिगमन तिथि October 2, 2018. ↑ अ आ Rice, Valerie (April 15, 1985). "Unrecognized Apple II Employees Exit". InfoWorld. पृ॰ 35. अभिगमन तिथि November 6, 2017. ↑ "Huawei beats Apple to become second-largest smartphone maker". The Guardian (अंग्रेज़ी में). August 3, 2018. अभिगमन तिथि August 3, 2018. ↑ "Apple Inc, Form 10-K, Annual Report, Filing Date Nov 3, 2017". secdatabase.com. अभिगमन तिथि April 23, 2018. ↑ "Apple Retail Store - Store List" (अंग्रेज़ी में). Apple. अभिगमन तिथि August 23, 2018. ↑ "How iTunes changed music, and the world". CNN. अप्रैल 26, 2013. अभिगमन तिथि जुलाई 8, 2013. ↑ "Apple Now Has 1.3 Billion Active Devices Worldwide" (अंग्रेज़ी में). अभिगमन तिथि August 23, 2018. ↑ Williams, Rhiannon (April 1, 2015). "Apple celebrates 39th year on April 1". The Telegraph. Telegraph Media Group. अभिगमन तिथि July 9, 2017. ↑ "Apple co-founder tells his side of the story". The Sydney Morning Herald. Fairfax Media. September 28, 2006. अभिगमन तिथि July 9, 2017. ↑ "A Chat with Computing Pioneer Steve Wozniak". NPR. September 29, 2006. अभिगमन तिथि July 9, 2017. ↑ Dormehl, Luke (March 3, 2017). "Today in Apple history: Homebrew Computer Club meets for first time". Cult of Mac. अभिगमन तिथि July 9, 2017. ↑ "The Homebrew Computer Club". Computer History Museum. अभिगमन तिथि July 9, 2017. ↑ Kahney, Leander. Rebuilding an Apple From the Past, Wired, November 19, 2002. Archived मार्च 18, 2014 at the वेबैक मशीन. ↑ "Building the digital age". BBC News. November 15, 2007. अभिगमन तिथि January 19, 2008. ↑ "Apple I". Computer History Museum. मूल से March 26, 2007 को पुरालेखित. अभिगमन तिथि January 19, 2008. ↑ अ आ Wozniak, Steve; Smith, Gina (2006). iWoz: Computer Geek to Cult Icon: How I Invented the Personal Computer, Co-Founded Apple, and Had Fun Doing It. W. W. Norton & Company. OCLC 502898652. आई॰ऍस॰बी॰ऍन॰ 0-393-06143-4. ↑ Dormehl, Luke (January 3, 2017). "Today in Apple history: Apple becomes a corporation". Cult of Mac. अभिगमन तिथि May 2, 2017. ↑ अ आ "Frequently Asked Questions". Apple Inc. अभिगमन तिथि April 18, 2017. ↑ Luo, Benny (September 12, 2013). "Ronald Wayne: On Co-founding Apple and Working With Steve Jobs". Next Shark. अभिगमन तिथि July 9, 2017. ↑ Simon, Dan (June 24, 2010). "The gambling man who co-founded Apple and left for $800". CNN. अभिगमन तिथि July 9, 2017. ↑ "Apple chronology". CNNMoney. January 6, 1998. अभिगमन तिथि May 2, 2017. ↑ Gilbert, Ben (December 26, 2016). "Where are the first 10 Apple employees today?". Business Insider. अभिगमन तिथि May 2, 2017. ↑ McCracken, Harry (April 1, 2016). "Apple's sales grew 150x between 1977–1980". Fast Company. अभिगमन तिथि May 2, 2017. ↑ Weyhrich, Steven (April 21, 2002). "Apple II History Chapter 4". अभिगमन तिथि August 18, 2008. ↑ Bagnall, Brian (2005). On the Edge: The Spectacular Rise and Fall of Commodore. Variant Press. पपृ॰ 109–112. आई॰ऍस॰बी॰ऍन॰ 978-0-9738649-0-8. ↑ Personal Computer Market Share: 1975–2004 Archived जून 6, 2012 at the वेबैक मशीन. The figures show Mac higher, but that is not a single model. ↑ Landley, Rob (September 18, 2000). "Fool.com: How Xerox Forfeited the PC War". The Motley Fool. मूल से July 23, 2008 को पुरालेखित. अभिगमन तिथि August 12, 2008. ↑ Brooks, Alex (March 30, 2006). "Apple at 30 – 1976 to 1986". World of Apple. मूल से October 20, 2008 को पुरालेखित. अभिगमन तिथि May 2, 2017. ↑ Abell, John C. (January 19, 2010). "Jan. 19, 1983: Apple Gets Graphic With Lisa". Wired. अभिगमन तिथि May 2, 2017. ↑ "Steve Wozniak on Newton, Tesla, and why the original Macintosh was a 'lousy' product". मूल से March 12, 2016 को पुरालेखित. अभिगमन तिथि June 25, 2018. ↑ Dilger, Daniel Eran (December 12, 2013). "Apple, Inc. stock IPO created 300 millionaires 33 years ago today". AppleInsider. अभिगमन तिथि April 18, 2017. ↑ Harvey, Brian (1994). "Is Programing Obsolete?". Electrical Engineering and Computer Sciences, University of California, Berkeley. मूल से June 14, 2013 को पुरालेखित. अभिगमन तिथि June 14, 2013. ↑ Ted Friedman. "Apple's 1984: The Introduction of the Macintosh in the Cultural History of Personal Computers". मूल से October 14, 2012 को पुरालेखित. ↑ Maney, Kevin (January 28, 2004). "Apple's '1984' Super Bowl commercial still stands as watershed event". USA Today. अभिगमन तिथि April 18, 2017. ↑ Leopold, Todd (February 3, 2006). "Why 2006 isn't like '1984'". CNN. अभिगमन तिथि April 18, 2017. ↑ "The greatest commercials of all time". TV Guide. CBS Interactive. October 12, 1999. मूल से October 12, 1999 को पुरालेखित. अभिगमन तिथि April 18, 2017. ↑ Taube, Aaron (January 22, 2014). "How The Greatest Super Bowl Ad Ever — Apple's '1984' — Almost Didn't Make It To Air". Business Insider. अभिगमन तिथि April 18, 2017. ↑ अ आ Hormby, Thomas (October 2, 2006). "Good-bye Woz and Jobs: How the first Apple era ended in 1985". Low End Mac. अभिगमन तिथि March 2, 2007. ↑ "When was desktop publishing invented?". About.com. मूल से April 20, 2007 को पुरालेखित. अभिगमन तिथि April 30, 2007. ↑ अ आ Hormby, Thomas (February 22, 2006). "Growing Apple with the Macintosh: The Sculley years". Low End Mac. अभिगमन तिथि March 2, 2007. ↑ Gallo, Carmine (January 22, 2014). "How Steve Jobs And Bill Gates Inspired John Sculley To Pursue The 'Noble Cause". Forbes. अभिगमन तिथि March 31, 2019. ↑ Spector, G (September 24, 1985). "Apple's Jobs Starts New Firm, Targets Education Market". PC Week. पृ॰ 109. ↑ Apple's Other Steve (Stock Research) Archived अक्टूबर 19, 2006 at the वेबैक मशीन. March 2, 2000, The Motley Fool. ↑ अ आ Carlton, Jim (1997). Apple: The inside story of intrigue, egomania, and business blunders. New York: Random House. आई॰ऍस॰बी॰ऍन॰ 978-0-8129-2851-8. ↑ "MacAddict". MacAddict. अंक 89. January 2004. अभिगमन तिथि April 1, 2017. ↑ Lee, Timothy B. (June 5, 2012). "The Five Most Expensive Apple Computers In History". Forbes. अभिगमन तिथि July 8, 2017. ↑ "The Apple IIGS, Cont". 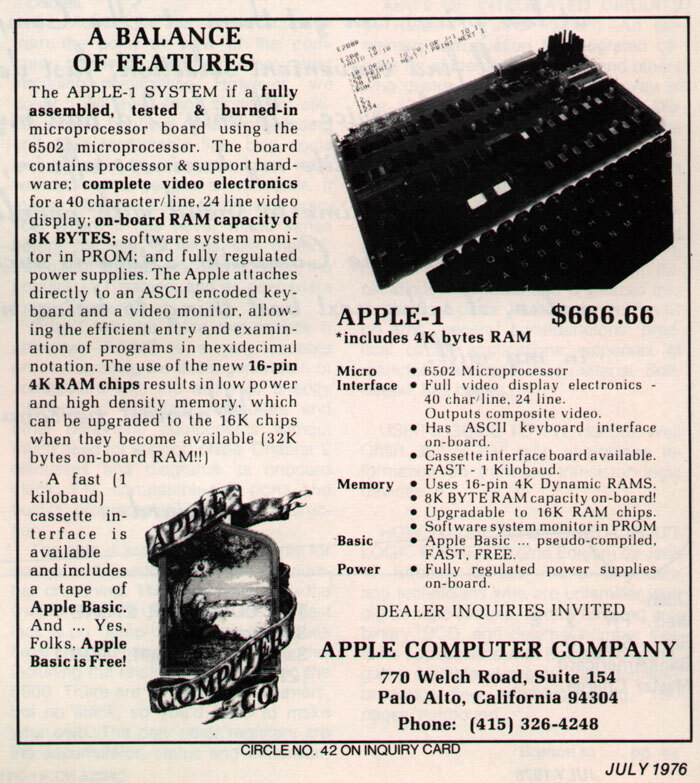 Apple II History. July 10, 2002. मूल से September 12, 2008 को पुरालेखित. अभिगमन तिथि July 8, 2017. ↑ Edwards, Benj (January 18, 2013). "30 years of the Apple Lisa and the Apple IIe". Macworld. International Data Group. अभिगमन तिथि July 8, 2017. ↑ "Exclusive: New pics of Apple's unreleased tablet prototype from 1992 – and the Mac that flew on the Space Shuttle". stuff.tv. अभिगमन तिथि April 14, 2016. ↑ "Macintosh Performa". Vectronics Apple World. मूल से April 19, 2013 को पुरालेखित. अभिगमन तिथि November 29, 2010. ↑ "1990–1995: Why the World Went Windows". Roughly Drafted. अभिगमन तिथि August 12, 2008. ↑ "Michael Spindler: The Peter Principle at Apple". मूल से September 8, 2008 को पुरालेखित. अभिगमन तिथि August 12, 2008. ↑ "1990–1995: Hitting the Wall". Roughly Drafted. मूल से September 24, 2008 को पुरालेखित. अभिगमन तिथि August 14, 2008. ↑ "Power Macintosh 6100". अभिगमन तिथि August 12, 2008. ↑ "Apple Computer, Inc. Finalizes Acquisition of NeXT Software Inc". Apple Inc. February 7, 1997. मूल से July 24, 2001 को पुरालेखित. अभिगमन तिथि June 25, 2006. ↑ Microsoft and Apple Affirm Commitment to Build Next Generation Software for Macintosh Microsoft, August 6, 1997. ↑ Harreld, Heather (January 5, 1997). "Apple gains tech, agency customers in Next deal". Federal Computer Week. मूल से December 6, 2008 को पुरालेखित. अभिगमन तिथि August 15, 2008. ↑ "Apple unveils new marketing strategy". Knight Ridder/Tribune News Service. November 10, 1997. मूल से November 13, 2008 को पुरालेखित. अभिगमन तिथि August 15, 2008. ↑ Apple Computer, Inc. Finalizes Acquisition of NeXT Software Inc. at the वेबैक मशीन (archive index), Apple Inc., February 7, 1997. Retrieved June 25, 2006. ↑ Apple Canada Inc (January 5, 1999). "800,000 iMacs Sold in First 139 Days". मूल से November 8, 2014 को पुरालेखित. अभिगमन तिथि January 26, 2008. ↑ "Why Apple Bounced Back". Roughly Drafted. October 25, 2006. अभिगमन तिथि November 8, 2014. ↑ "A new beginning or swan song for Final Cut Pro X". GR Reporter. GRRreporter Ltd. June 7, 2013. अभिगमन तिथि November 8, 2014. ↑ अ आ Matt Bell, Mark Wherry (September 2002). "APPLE/EMAGIC TAKEOVER The Inside Story Of The Deal That Changed The Music World". Sound On Sound. SOS Publications Group. मूल से November 8, 2014 को पुरालेखित. अभिगमन तिथि November 8, 2014. ↑ "Apple to acquire Spruce Technologies". Broadcast (अंग्रेज़ी में). अभिगमन तिथि April 6, 2018. ↑ "Spruce Technologies Inc.: Private Company Information - Bloomberg". Bloomberg L.P. अभिगमन तिथि April 6, 2018. ↑ Seff, Jonathan (May 1, 2001). "The Song Is Over for SoundJam". Macworld. International Data Group. अभिगमन तिथि December 16, 2017. ↑ Deitrich, Andy (February 2, 2004). "Garage Band". Ars Technica. अभिगमन तिथि March 23, 2017. ↑ "An Exclusive Look at Mac OS 9". Egg Freckles. Egg Freckles. February 24, 2014. मूल से February 29, 2012 को पुरालेखित. अभिगमन तिथि March 23, 2014. ↑ "Apple Stores 2001–2003". IFO Apple Store. मूल से September 27, 2011 को पुरालेखित. अभिगमन तिथि October 7, 2011. ↑ Chacksfield, Marc (June 19, 2008). "iTunes hits 5 billion downloads". TechRadar. Future plc. अभिगमन तिथि May 24, 2017. ↑ Skillings, Jon (June 19, 2008). "Apple's iTunes hits 5 billion mark". CNET. अभिगमन तिथि May 24, 2017. ↑ Griggs, Brandon; Leopold, Todd (April 26, 2013). "How iTunes changed music, and the world". CNN. अभिगमन तिथि May 24, 2017. ↑ Arthur, Charles (April 28, 2013). "iTunes is 10 years old today. Was it the best idea Apple ever had?". The Guardian. अभिगमन तिथि May 24, 2017. ↑ अ आ Apple to Use Intel Microprocessors Beginning in 2006, Apple Inc., June 6, 2005. Retrieved March 2, 2007. ↑ Johnson, Bobbie (August 10, 2006). "Bye-bye Power Mac... hello Mac Pro". The Guardian. अभिगमन तिथि March 23, 2017. ↑ "Apple Unveils New MacBook Featuring Intel Core Duo Processors". Apple Inc. May 16, 2006. ↑ Hesseldahl, Arik (April 5, 2006). "News Flash: Apple Introduces 'Boot Camp' To Run Windows XP on Macs". BusinessWeek. अभिगमन तिथि August 18, 2008. ↑ Markoff, John (January 16, 2006). "Michael Dell Should Eat His Words, Apple Chief Suggests". New York Times. अभिगमन तिथि April 3, 2019. ↑ Singh, Jai (October 6, 1997). "Dell: Apple should close shop". CNET. अभिगमन तिथि March 23, 2017. 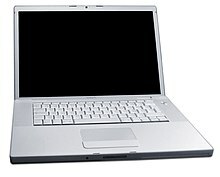 ↑ "Apple revamps iBook. Network World (May, 2001)", Network World, May 2, 2001. Retrieved August 19, 2008. Archived जनवरी 1, 2009 at the वेबैक मशीन. ↑ "Drop the Computer". The Economist. Economist Group. January 11, 2007. अभिगमन तिथि May 24, 2017. ↑ "What's In A Name Change? Look At Apple". Forbes. January 25, 2007. अभिगमन तिथि May 24, 2017. ↑ "Apple Announces The iPhone". MacRumors. January 9, 2007. अभिगमन तिथि May 24, 2017. ↑ Arrington, Michael (January 9, 2007). "Apple Announces iPhone, Stock Soars". TechCrunch. AOL. अभिगमन तिथि May 24, 2017. ↑ "Apple Announces Apple TV (Formerly 'iTV')". MacRumors. January 9, 2007. अभिगमन तिथि May 24, 2017. ↑ "Apple TV Coming to Your Living Room". Apple Inc. January 9, 2007. अभिगमन तिथि May 24, 2017. ↑ Miller, Paul (July 25, 2007). "Apple sold 270,000 iPhones in the first 30 hours". Engadget. अभिगमन तिथि May 24, 2017. ↑ Oyedele, Akin (March 21, 2016). "Here's how Apple shares do right after the new iPhone launches". Business Insider. अभिगमन तिथि May 24, 2017. ↑ "Apple Inc. Watch Shows 'Innovation Is Back'". Benzinga. अभिगमन तिथि October 10, 2014. ↑ Sandoval, Greg (April 16, 2007). "Apple exhibits Final Cut Studio 2". CNET. अभिगमन तिथि March 23, 2017. ↑ Block, Ryan (February 6, 2007). "A letter from Steve Jobs on DRM: let's get rid of it". Engadget. AOL. अभिगमन तिथि March 23, 2017. ↑ Dalrymple, Jim (April 2, 2007). "Apple, EMI offer higher-quality DRM free downloads". Macworld. अभिगमन तिथि November 29, 2010. ↑ "Changes Coming to the iTunes Store". Apple Inc. January 6, 2009. अभिगमन तिथि March 23, 2014. ↑ Flandez, Raymund (August 5, 2008). "Programmers Jockey for iPhone Users at Apple Site". The Wall Street Journal. अभिगमन तिथि August 16, 2008. ↑ McLaughlin, Kevin (August 11, 2008). "Apple's Jobs Gushes Over App Store Success". The Channel Wire. मूल से March 1, 2010 को पुरालेखित. अभिगमन तिथि August 16, 2008. ↑ Chen, Brian (October 21, 2008). "Jobs: Apple Is Third Largest Handset Supplier". Wired. अभिगमन तिथि March 23, 2014. ↑ "Chunkier Sidekick to Replace Jobs at Macworld". DoesWhat. December 16, 2008. अभिगमन तिथि March 23, 2014. ↑ Apple Inc. (December 16, 2008). Apple Announces Its Last Year at Macworld. प्रेस रिलीज़. https://www.apple.com/newsroom/2008/12/16Apple-Announces-Its-Last-Year-at-Macworld/. अभिगमन तिथि: March 23, 2014. ↑ Apple Inc. (January 14, 2009). Apple Media Advisory. प्रेस रिलीज़. https://www.apple.com/newsroom/2009/01/14Apple-Media-Advisory/. अभिगमन तिथि: March 23, 2014. ↑ "Apple Inc, Form 10-Q, Quarterly Report, Filing Date Apr 23, 2009". secdatabase.com. अभिगमन तिथि March 8, 2013. ↑ "Apple reports the best non-holiday quarter in its history". Betanews. April 22, 2009. अभिगमन तिथि November 22, 2010. ↑ "Apple iPad reaches 1 million sales faster than iPhone". Reuters (अंग्रेज़ी में). अभिगमन तिथि September 10, 2018. ↑ "Apple passes Microsoft to be biggest tech company". BBC News. May 27, 2010. मूल से May 29, 2010 को पुरालेखित. अभिगमन तिथि May 29, 2010. ↑ Apple Inc.. Apple Presents iPhone 4. प्रेस रिलीज़. 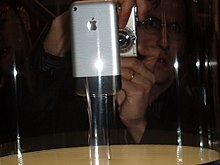 Archived from the original on September 3, 2011. https://www.apple.com/newsroom/2010/06/07Apple-Presents-iPhone-4/. ↑ Beaumont, Claudine (June 24, 2010). "Apple iPhone 4: Full review". The Telegraph (अंग्रेज़ी में). Telegraph Media Group. आइ॰एस॰एस॰एन॰ 0307-1235. अभिगमन तिथि September 10, 2018. ↑ Topolsky, Joshua (September 7, 2010). "iPod touch review (2010)". Engadget. AOL. अभिगमन तिथि March 23, 2017. ↑ Apple Inc. (September 1, 2010). Apple Reinvents iPod nano With Multi-Touch Interface. प्रेस रिलीज़. Archived from the original on November 15, 2010. https://www.apple.com/newsroom/2010/09/01Apple-Reinvents-iPod-nano-With-Multi-Touch-Interface/. अभिगमन तिथि: November 11, 2010. ↑ Bell, Donald (September 7, 2010). "Apple iPod Shuffle 2010 (2GB) review". CNet. अभिगमन तिथि April 4, 2019. ↑ Mintz, Jessica; Robertson, Jordan. "Apple unveils new TV box for renting movies, shows". Yahoo! News. मूल से September 2, 2010 को पुरालेखित. अभिगमन तिथि September 2, 2010. ↑ Albanesius, Chloe (October 20, 2010). "Apple Unveils iLife 11 with New iPhoto, iMovie, GarageBand". PC Magazine. Ziff Davis. अभिगमन तिथि April 18, 2017. ↑ Madway, Gabriel (October 20, 2010). "Apple shows off iPad-inspired Mac laptop". Reuters. अभिगमन तिथि April 18, 2017. ↑ Ostrow, Adam (October 13, 2010). "Apple Shares Hit $300". Mashable. अभिगमन तिथि April 18, 2017. ↑ Muchmore, Michael (January 6, 2011). "Apple's Mac App Store: Hands On". PC Magazine. अभिगमन तिथि January 6, 2011. ↑ Michael Cieply (March 7, 2011). "A Film About Capitalism, and (Surprise) It's a Love Story". The New York Times. अभिगमन तिथि November 8, 2014. ↑ "Apple boss Steve Jobs takes 'medical leave'". BBC News. January 17, 2011. मूल से January 19, 2011 को पुरालेखित. अभिगमन तिथि January 17, 2011. ↑ Indvik, Lauren (May 9, 2011). "Apple Now World's Most Valuable Brand". Mashable. अभिगमन तिथि October 7, 2011. ↑ Helft, Miguel (June 6, 2011). "Apple Unveils a 'Cloud' Music and Storage Service". The New York Times. अभिगमन तिथि June 7, 2011. ↑ Gobry, Pascal-Emmanuel (July 4, 2011). "Apple's Exclusive Supply Chain Of Advanced Technology Is Literally Years Ahead Of Anyone Else On The Planet". Business Insider. अभिगमन तिथि October 7, 2011. ↑ Elmer, Philip (July 5, 2011). "How Apple became a monopsonist – Apple 2.0". Fortune. CNN. मूल से February 3, 2014 को पुरालेखित. अभिगमन तिथि October 7, 2011. ↑ "Apple holding more cash than USA". BBC News. July 29, 2011. अभिगमन तिथि October 7, 2011. ↑ Primack, Doug. "Fallen Apple: Steve Jobs resigns". Fortune. CNN. मूल से September 26, 2011 को पुरालेखित. अभिगमन तिथि August 24, 2011. ↑ "Meet Apple's Board of Directors". Ethiopian Review. August 25, 2011. मूल से September 28, 2012 को पुरालेखित. अभिगमन तिथि October 7, 2011. ↑ Griggs, Brandon (October 6, 2011). "Steve Jobs, Apple founder, dies". CNN. अभिगमन तिथि March 27, 2017. ↑ Hess, Ken (October 5, 2011). "October 5th, 2011. The day Apple died". ZDNet. CBS Interactive. अभिगमन तिथि March 27, 2017. ↑ Apple Inc. (January 19, 2012). Apple Reinvents Textbooks with iBooks 2 for iPad – New iBooks Author Lets Anyone Create Stunning iBooks Textbooks. प्रेस रिलीज़. https://www.apple.com/newsroom/2012/01/19Apple-Reinvents-Textbooks-with-iBooks-2-for-iPad/. अभिगमन तिथि: February 22, 2012. ↑ "Steve Jobs' Plans to Disrupt the Textbook Industry. How Disruptive Were They? | Inside Higher Ed". www.insidehighered.com. अभिगमन तिथि November 10, 2017. ↑ Ziegler, Chris (October 4, 2011). "iPhone 4S announced, available October 14th starting at $199". The Verge. अभिगमन तिथि March 23, 2017. ↑ Parr, Ben (October 4, 2011). "Apple Announces iPhone 4S". Mashable. अभिगमन तिथि March 23, 2017. ↑ Savov, Vlad (September 12, 2012). "Apple announces 4-inch iPhone 5 with LTE, Lightning connector, September 21st release date". The Verge. अभिगमन तिथि March 23, 2017. ↑ Shimpi, Anand Lal (September 12, 2012). "Apple iPhone 5: Announced". AnandTech. Purch Group. अभिगमन तिथि March 23, 2017. ↑ Mossberg, Walter (March 15, 2012). "New iPad: a Million More Pixels Than HDTV". The Wall Street Journal. अभिगमन तिथि March 15, 2012. ↑ Lowensohn, Josh (March 7, 2012). "Apple iPad live blog (Wednesday, March 7)". CNET. अभिगमन तिथि March 23, 2017. ↑ अ आ Wood, Molly (October 23, 2012). "The new 'new iPad': Lightning strikes again". CNET. अभिगमन तिथि March 23, 2017. ↑ अ आ Dudley-Nicholson, Jennifer (October 24, 2012). "Apple unveils new iPad Mini, updated iPad and new Macs". Herald Sun. ↑ Stein, Scott (October 5, 2012). "Apple iPhone 5 review". CNET. अभिगमन तिथि March 23, 2017. ↑ Apple Inc. (November 5, 2012). Apple Sells Three Million iPads in Three Days. प्रेस रिलीज़. https://www.apple.com/newsroom/2012/11/05Apple-Sells-Three-Million-iPads-in-Three-Days/. अभिगमन तिथि: February 22, 2013. ↑ Brown, Rich (November 11, 2013). "Apple Mac Mini with Fusion Drive review". CNET. अभिगमन तिथि March 23, 2017. ↑ Svensson, Peter. "Apple Sets Record for Company Value at $624B". Associated Press. मूल से August 22, 2012 को पुरालेखित. अभिगमन तिथि August 20, 2012. ↑ "Apple awarded $1bn in damages from Samsung in US court". BBC News. August 25, 2012. अभिगमन तिथि August 25, 2012. ↑ अ आ "Judge strikes $450 million from $1 billion damages award in Apple v. Samsung: second trial needed". FOSS Patents. अभिगमन तिथि March 1, 2013. ↑ Apple Inc. (November 10, 2012). HTC and Apple Settle Patent Dispute. प्रेस रिलीज़. https://www.apple.com/newsroom/2012/11/11HTC-and-Apple-Settle-Patent-Dispute/. अभिगमन तिथि: February 22, 2013. ↑ Reisinger, Don (November 12, 2012). "Apple predicted to generate up to $280 million a year in HTC deal". CNET. अभिगमन तिथि March 23, 2017. ↑ Seward, Zachary M. (April 5, 2014). "The Steve Jobs email that outlined Apple's strategy a year before his death". Quartz. अभिगमन तिथि April 7, 2014. ↑ "Apple's interactive augmented reality system identifies real-world objects, allows screen sharing". AppleInsider. ↑ Gupta, Poornima (July 2, 2013). "Apple hires former Yves Saint Laurent CEO for 'special projects'". Reuters. अभिगमन तिथि August 24, 2013. ↑ Roberts, Andrew (October 15, 2013). "Burberry Designer Bailey to Become CEO as Ahrendts Goes to Apple". Bloomberg L.P. अभिगमन तिथि October 15, 2013. ↑ Garside, Juliette (August 9, 2013). "Apple, Google and AT&T meet Obama to discuss NSA surveillance concerns". The Guardian. अभिगमन तिथि March 23, 2017. ↑ Romm, Tony. "Apple's Tim Cook, tech executives meet with Barack Obama to talk surveillance". Politico. अभिगमन तिथि August 12, 2013. ↑ Kerr, Dara (February 3, 2014). "Tim Cook lands in Turkey, could he be planning an iPad deal?". CNET. अभिगमन तिथि March 23, 2017. ↑ Etherington, Darrell (January 27, 2014). "Apple's 51M iPhones, 26M iPads And 4.8M Macs In Q1 2014 Set A Record, But Growth Slows". TechCrunch. AOL. अभिगमन तिथि June 30, 2017. ↑ Cunningham, Andrew (January 27, 2014). "Apple breaks revenue, iPhone, and iPad records in Q1 of 2014". Ars Technica. अभिगमन तिथि June 30, 2017. ↑ Steele, Billy (May 28, 2014). "Apple acquires Beats Electronics for $3 billion". Engadget. AOL. अभिगमन तिथि March 23, 2017. ↑ Welch, Chris (May 28, 2014). "Apple confirms it's buying Beats for $3 billion". The Verge. अभिगमन तिथि March 23, 2017. ↑ "2013 – Previous Years – Best Global Brands – Best Brands – Interbrand". Interbrand. Omnicom Group. अभिगमन तिथि September 3, 2016. ↑ "2014 – Previous Years – Best Global Brands – Best Brands – Interbrand". Interbrand. Omnicom Group. अभिगमन तिथि September 3, 2016. ↑ "2015 – Previous Years – Best Global Brands – Best Brands – Interbrand". Interbrand. Omnicom Group. अभिगमन तिथि October 8, 2016. ↑ "Rankings – 2016 – Best Global Brands – Best Brands – Interbrand". Interbrand. Omnicom Group. अभिगमन तिथि October 8, 2016. ↑ "Rankings – 2017 – Best Global Brands – Best Brands – Interbrand". Interbrand. Omnicom Group. अभिगमन तिथि April 18, 2019. ↑ "Rankings – 2018 – Best Global Brands – Best Brands – Interbrand". Interbrand. Omnicom Group. अभिगमन तिथि April 18, 2019. ↑ Statt, Nick (January 26, 2016). "1 billion Apple devices are in active use around the world". The Verge. अभिगमन तिथि May 24, 2017. ↑ Rossignol, Joe (January 26, 2016). "Apple Now Has Over 1 Billion Active Devices Worldwide". MacRumors. अभिगमन तिथि May 24, 2017. ↑ "Apple invests $1 billion in Chinese ride-hailing service Didi Chuxing". Reuters. May 13, 2016. अभिगमन तिथि May 13, 2016. ↑ Isaac, Mike; Goel, Vindu (May 12, 2016). "Apple Puts $1 Billion in Didi, a Rival to Uber in China". The New York Times. आइ॰एस॰एस॰एन॰ 0362-4331. अभिगमन तिथि May 13, 2016. ↑ Carew, Rick; Wakabayashi, Daisuke (May 13, 2016). "Apple Invests $1 Billion in Didi, Uber's Rival in China". The Wall Street Journal. आइ॰एस॰एस॰एन॰ 0099-9660. अभिगमन तिथि May 13, 2016. ↑ Efrati, Amir; Lee, Alfred (October 11, 2016). "Apple Took Board Seat at Didi Chuxing". The Information. अभिगमन तिथि October 17, 2016. ↑ Vincent, James (October 12, 2016). "After investing $1 billion, Apple takes a board seat at 'China's Uber'". The Verge. अभिगमन तिथि March 23, 2017. ↑ Stone, Brad; Chen, Lulu (October 6, 2016). "Uber Slayer: How China's Didi Beat the Ride-Hailing Superpower". Bloomberg L.P. अभिगमन तिथि October 17, 2016. ↑ अ आ इ McBride, Sarah (June 6, 2016). "Apple leads Tech Industry in Fortune 500". Yahoo Tech. अभिगमन तिथि June 6, 2016. ↑ Phelan, David. "Clips, The Coolest, Most Fun Thing Apple Has Done In A Long While". Forbes. अभिगमन तिथि April 7, 2017. ↑ Mayo, Benjamin (May 25, 2017). "Apple transitions to Newsroom portal for press releases, updates executive bios page design". 9to5Mac. अभिगमन तिथि May 25, 2017. ↑ Gartenberg, Chaim (June 5, 2017). "Apple announces HomePod speaker to take on Sonos". The Verge. Vox Media. अभिगमन तिथि December 14, 2017. ↑ Lunden, Ingrid; Roof, Katie (December 8, 2017). "Sources: Apple is acquiring music recognition app Shazam". TechCrunch. Oath Inc. अभिगमन तिथि December 14, 2017. ↑ Singleton, Micah (December 11, 2017). "Apple confirms it has acquired Shazam". The Verge. Vox Media. अभिगमन तिथि December 14, 2017. ↑ "EU clears Apple's purchase of song-recognition app Shazam". CNBC. September 6, 2018. अभिगमन तिथि September 7, 2018. ↑ Welch, Chris (September 24, 2018). "Apple completes Shazam acquisition, will make app ad-free for everyone". The Verge. अभिगमन तिथि September 24, 2018. ↑ Andreeva, Nellie (November 8, 2017). "Apple Gives Reese Witherspoon-Jennifer Aniston Morning Show Series 2-Season Order, Confirms 'Amazing Stories' Reboot". Deadline Hollywood (अंग्रेज़ी में). अभिगमन तिथि January 18, 2019. ↑ Robb, David (June 7, 2018). "Apple Signs WGA Contract As It Ramps Up Scripted Shows". Deadline Hollywood (अंग्रेज़ी में). अभिगमन तिथि January 18, 2019. ↑ Andreeva, Nellie (June 15, 2018). "Oprah Winfrey Partners With Apple For Original Content". Deadline Hollywood (अंग्रेज़ी में). अभिगमन तिथि January 18, 2019. ↑ Andreeva, Nellie; Petski, Denise (June 20, 2018). "Apple Teams With Sesame Workshop On Children's Programming Slate". Deadline Hollywood (अंग्रेज़ी में). अभिगमन तिथि January 18, 2019. ↑ Andreeva, Nellie; Petski, Denise (December 14, 2018). "Apple Makes 'Peanuts' Deal; DHX Media To Produce New Series, Specials & Shorts With Classic Characters For Streamer". Deadline Hollywood (अंग्रेज़ी में). अभिगमन तिथि January 18, 2019. ↑ Hipes, Patrick; Andreeva, Nellie (November 15, 2018). "Apple Inks Deal With A24 For Multiple Films As Part Of Push Into Movies". Deadline Hollywood (अंग्रेज़ी में). अभिगमन तिथि January 18, 2019. ↑ Smith, Ryan. "Apple Deprecates OpenGL Across All OSes; Urges Developers to use Metal". AnandTech. ↑ "Apple quietly bought a startup that makes lenses for smart glasses, and it hints at the company's next big thing". Business Insider. अभिगमन तिथि August 31, 2018. ↑ "Apple buys start-up that makes lenses for augmented reality glasses". CNBC. August 29, 2018. अभिगमन तिथि August 31, 2018. ↑ "Apple's Latest Acquisition Could Help the Tech Giant Use Data in This New Way". Fortune (अंग्रेज़ी में). अभिगमन तिथि February 15, 2019.